While a lot of audio companies are producing headphones that sound good, very few combine great audio with the ability to express your style. Altec Lansing, however, produces products with just that combination. Whatever your style and plan of use, Altec Lansing has a headphone for you. Likely the most unique product in the line is the Glow Run earbuds. These earbuds are designed for use when running and feature an illuminated wire. Obviously, one purpose for the illumination is for fun and style, as the earbuds come in a variety of colors. However, there is a safety feature included, since running outside at night gets a lot safer when you have a light on your body. It's pretty common for runners to carry a light on their waist, but with the Glow Run, you've got it all in your earbuds. The Glow Runs will retail for $49. Another popular product in headphones this year is True Wireless, and Altec Lansing has enhanced their EVO line of earbuds to feature several models. The standard EVO model runs $59 and features 5 hours of playtime and 3 additional charges through the case. The EVO+ model runs $99 and adds Qi charging to the case and an additional full charge and comes with a Qi charging pad. The EVO Sport runs $119 and extends the playtime of the earbuds to 6 hours and offers 5 full charges in the case. The EVO ANC runs $149 and adds active noise cancelation to the mix, which is perfect when you're in a position with a lot of background noise, such as on an airplane. 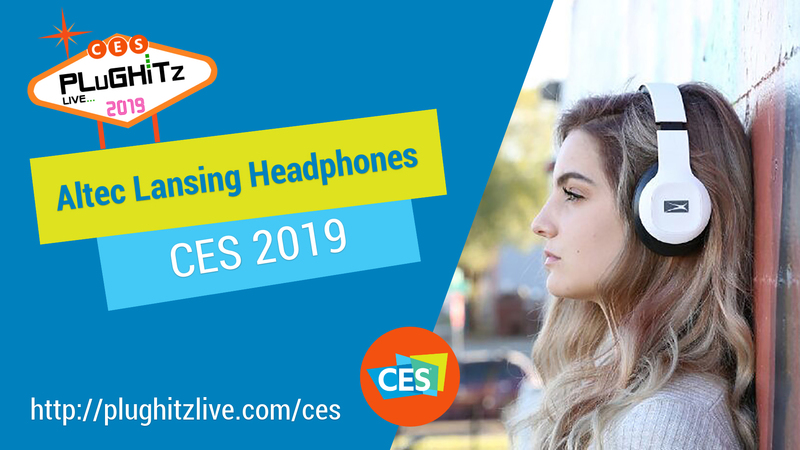 In addition, there is the more standard line of headphones, all of which feature Altec Lansing's great sound quality and variety of colors, styles, and materials to make the headphone experience your own. You can see their full lineup on their website.